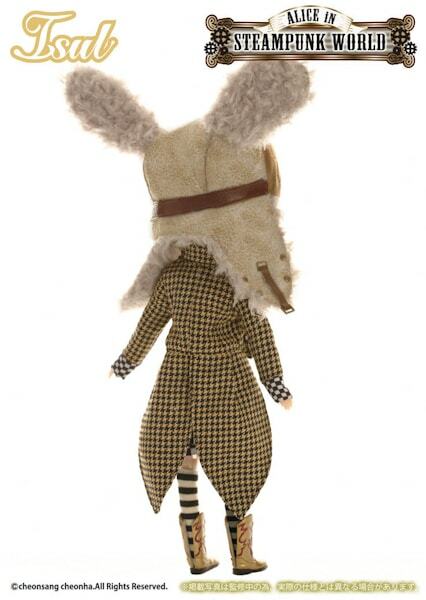 Hippity hoppin', he's on his way August 2015! 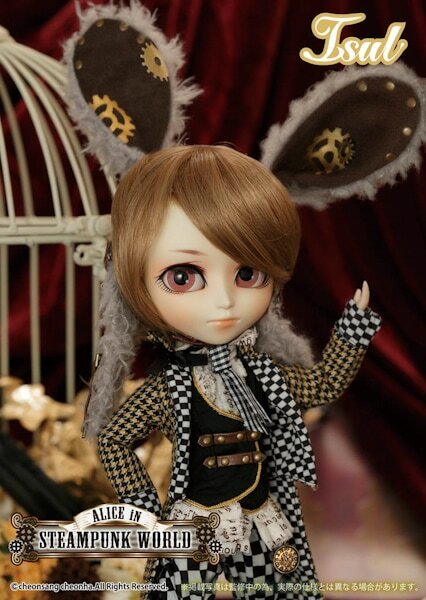 The 3rd doll part of the 2015 Alice In STEAMPUNK WORLD is none other than Isul White Rabbit. 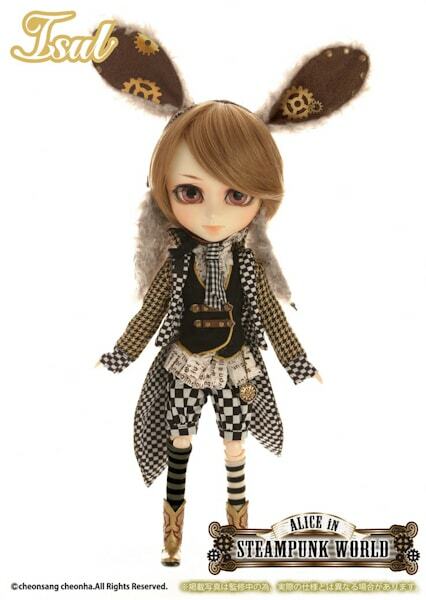 Add this adorable bunny to your crew. 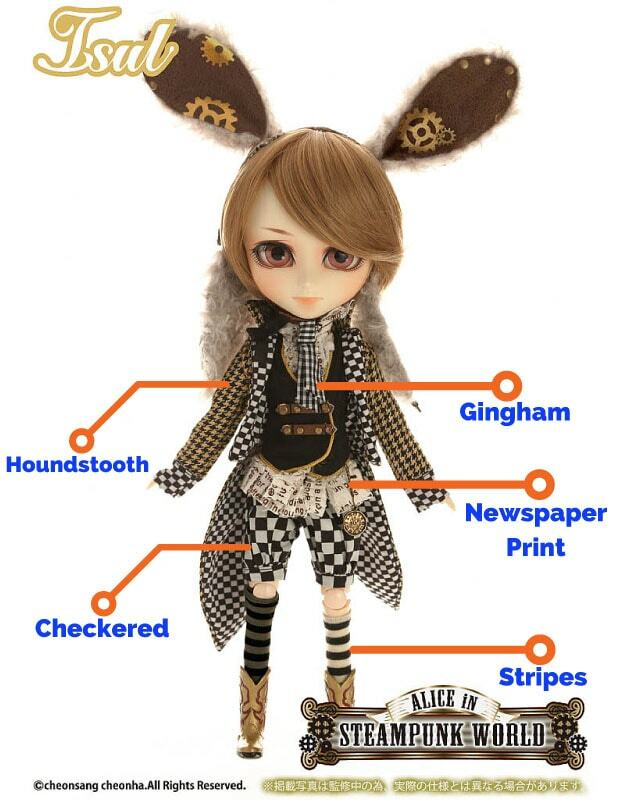 This little bunny has a lot going on, so lets discuss him, shall we! 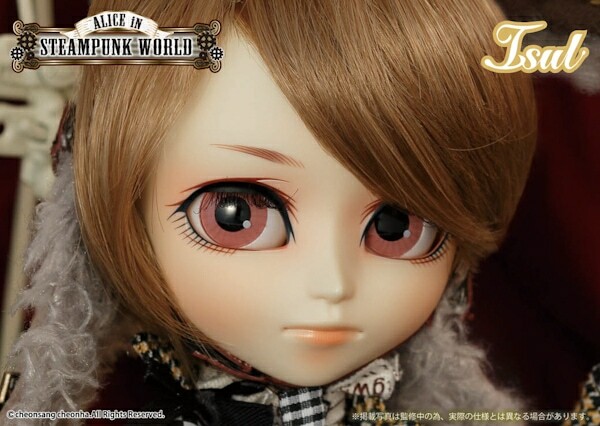 I'm not sure if it's his lips or faceup. 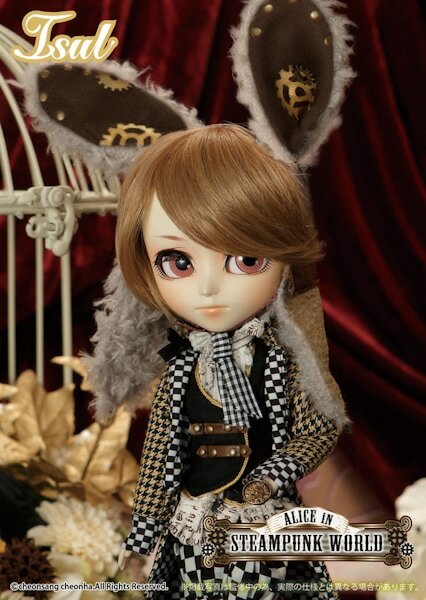 But somehow he doesn't look like an Isul doll to me??? Weird right . . . like some new character or something lol. 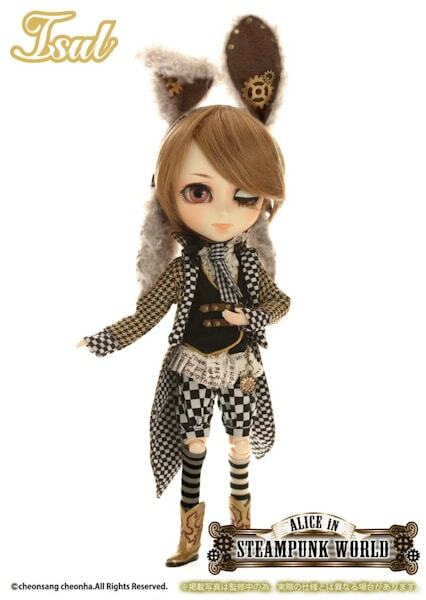 Will he be hopping straight to your collection or are you on separate paths! Leave a comment below! We will love to read your opinion about this guy. 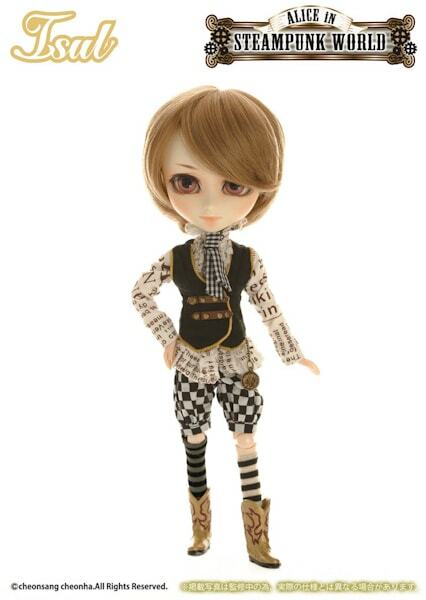 I actually pre-ordered him because I thought the outfit was so striking. 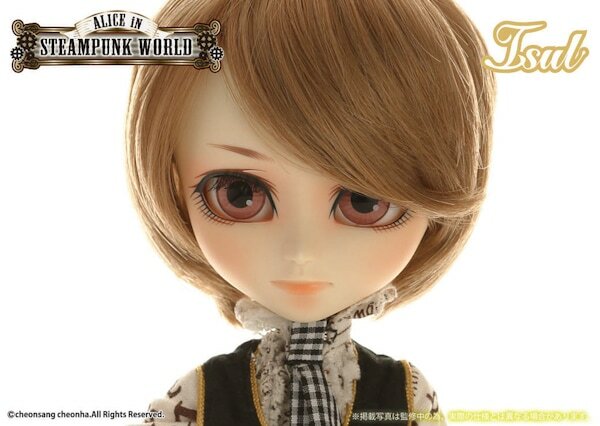 That led me to buy three other Pullip dolls in the same week and I had never even heard of the brand until I saw him on AmiAmi. I ended up getting Johan, Nella and Pluto to round out the Steampunk theme. How awesome, it sounds like you’re starting out on the right foot. 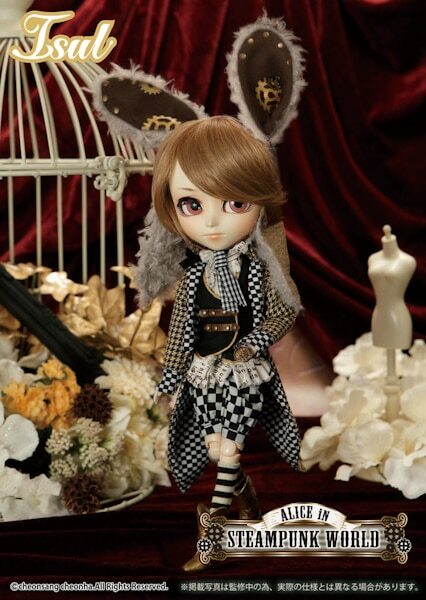 Isul White Rabbit’s appearance looks different to me because he looks boyish oppose to girlish, which is a pleasant sight to see. 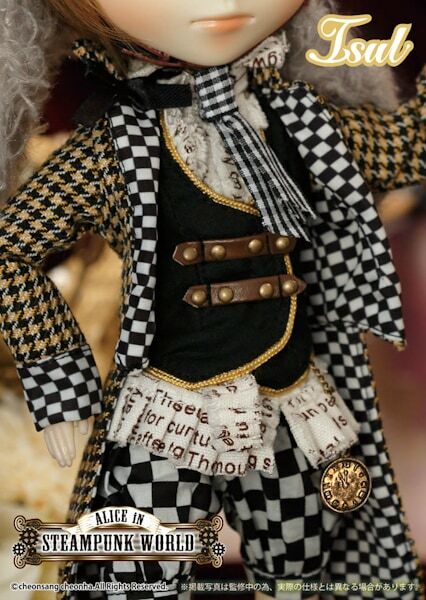 He is a very eccentric doll so I’m looking forward to viewing owner pictures. Thanks so much taking the time to share your thoughts with us!